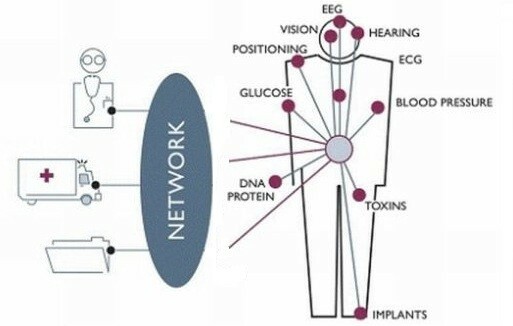 Mobile body area network (MBAN) technology has the potential to be a boon to the healthcare system of the future by enabling remote patient monitoring through disposable wireless devices -- meaning fewer doctor visits for everyone and great news for latrophobes. Until now, MBAN was opposed by the Aerospace & Flight Test Radio Coordinating Council (AFTRCC) because it utilizes the same radio bands that aircraft manufacturers do when they're testing new planes. AFTRCC didn't want all that medical chatter "polluting their spectrum" but decided to get on board with MBAN when the health care industry promised to create a way to stop signals that disrupt aeronautical traffic. MBAN is a part of the FCC's National Broadband Plan and purports to use short-length radio waves (not unlike Bluetooth) in the 2300 and 2400 MHz range to transmit physiological info to treating physicians -- as opposed to other patient monitors that use web-based communications. MBAN would initially be used in hospitals but could later find its way into residential use by employing home entertainment systems (Wii Fit integration, here we come!) 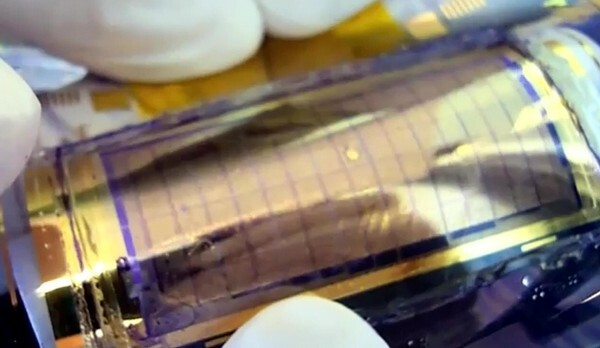 to collect and transmit data. With the FCC expected to decide on the final rules for MBAN later this year, the Intel Health Guide may have some company in the at-home patient monitoring business. We can only hope that the next time the aeronautic and health care industries combine forces, it will take the form of jetpack-wearing doctors making house calls. Health care and aeronautics industries agree that FCC should set aside bandwidth for dedicated remote patient monitoring system originally appeared on Engadget on Fri, 21 Jan 2011 14:08:00 EDT. Please see our terms for use of feeds. Hey, this interim CEO thing doesn't seem to be too hard at all. Thomas Seifert, the temporary solution to the problem created by Dirk Meyer's departure from AMD's top spot, has had a pretty comfy ride reporting the company's latest quarterly results. The pecuniary numbers themselves ($1.65b revenue, $375m net income) were tame and unexciting, but Seifert got to make a pair of juicy milestone announcements. Firstly, on the mobile and ever-so-efficient front, he noted that 1.3 million Fusion APUs (Accelerated Processing Units) have been shipped to partners since AMD started deliveries in November, and secondly, in terms of discrete graphics chips, he disclosed that the Radeon HD 5000 and HD 6000 series DirectX 11 GPUs have surpassed the 35 million units shipped mark. To give you some perspective on what that means, sales of Nintendo's bestselling Wii console are hovering somewhere around the same figure. So yes, AMD, your wagon has momentum, but shouldn't it have a driver too? A MD ships 1.3 million Fusion APUs, 35 million DirectX 11 GPUs, says it has 'momentum' originally appeared on Engadget on Sat, 22 Jan 2011 07:57:00 EDT. Please see our terms for use of feeds. 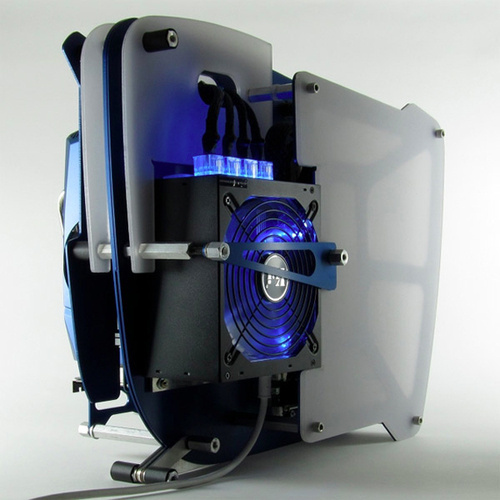 Case mods provide some giggles, sure, but how many of them that we've seen previously would you have actually bought? If I were in the market for one, this Hammerhead HMR98902 would be top of my list. Sorry, gents, but your conspiracy theories are wholly kaput -- not only is a Samsung Galaxy S getting Android 2.2 stateside, but the speedy software update will start rolling out tomorrow on T-Mobile USA. That's the word direct from T-Mo chief marketing officer Cole Brodman, who tossed the news to PC Magazine this afternoon, saying that the delay was a "quality control and timing issue." Apparently, there's extra work involved in skinning the operating system and adding exclusive apps like WiFi calling -- though he didn't confirm either would specifically appear in the Vibrant's build of Froyo. Here's some more welcome news, though: the gentleman promised that in general, Android updates on T-Mobile will be more prompt from now on, as the firm's shooting to update all phones to new versions within five months of Google making source code available. Does that mean we should expect some Gingerbread men by May? We're not totally sure, but we imagine that T-Mobile's rivals aren't sitting still -- we'll probably hear some fascinating, captivating and totally epic news about Froyo any minute now. 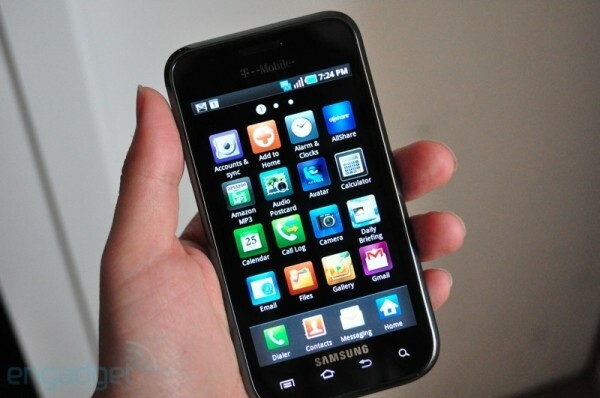 Samsung Galaxy S Vibrant will get Froyo tomorrow, says T-Mobile CMO originally appeared on Engadget on Thu, 20 Jan 2011 14:07:00 EDT. Please see our terms for use of feeds. All things considered, HTC doesn't do the best job of protecting its roadmap; indeed, the slides that leaked a little over a year ago ended up doing a fabulous job of showing us what was in the pipe for 2010, so we wouldn't doubt the massive spread that PocketNow published today. Starting at the top, we've got a device that looks like a trackpad-less evolution of the original Desire (pictured above), another that looks like an Aria-sized Nexus One in black (complete with old-school trackball), and an additional version of a buttonless phone that's got generic HTC branding in place of the Verizon logo in a picture unearthed by Phandroid a few days ago (pictured after the break). That's not all, though: there also seems to be a lower-end Android device with physical Send / End buttons and an optical trackpad underneath a smallish display accompanied by the usual four capacitive buttons. A device with a China Telecom logo on it is also in the mix, looking like a big-screened model that'll probably be ready to do battle with that 1.2GHz Droid X by a different name that just launched over there. Finally, there's a small, entry-level model that might succeed the Smart as HTC's Brew MP-powered flagbearer, though Android is obviously the thrust here. Specs and names are still a mystery across the board at this point, but as PocketNow says, we wouldn't be surprised to get details at MWC next month. HTC leaks suggest big, small, buttonless, and Brew MP-based phones are on the way originally appeared on Engadget on Thu, 20 Jan 2011 17:28:00 EDT. Please see our terms for use of feeds. We're not sure how we missed this concept tablet at CES a few weeks ago -- oh right, there were over 40 something tablets hanging around! -- but MSI's projector-equipped Windows 7 slate sure is an interesting one. Yep, in addition to its crazy Butterfly and Angelow all-in-ones, MSI cobbled together a rather chunky, Atom-powered, 10-inch tablet with a built-in swivel projector. We don't have any details on the projector itself -- no lumens or resolution -- but according to Notebook Italia, it can be maneuvered to display on a wall or even flipped around to project downward onto a table. A MSI rep implied that the latter function could be used to enable some sort of laser projected keyboard (we're imagining it to be a lot like this one from Light Blue Optics), but there's no actual software in place for that yet. That seems to be a popular feature in concepts these days (see Mozilla's amazing Seabird) -- now just give us the real thing! Hit the source link for a few more shots of MSI's tablet / projector contraption. 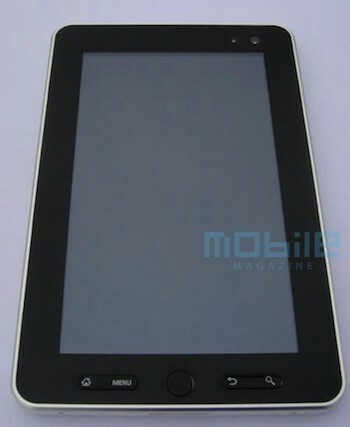 Updated: Our friends at NetbookNews spotted a video of the concept tablet on TBreak. As you'd expect this looks like one unfinished product, but hit the break to check it out for yourself. 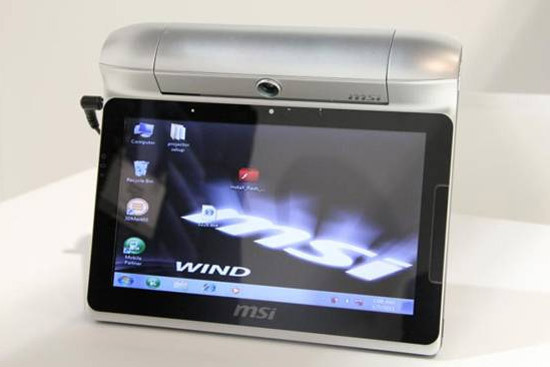 MSI shows off tablet concept with an integrated projector originally appeared on Engadget on Thu, 20 Jan 2011 19:29:00 EDT. Please see our terms for use of feeds. Here's what we know: the Samsung Galaxy S 4G is coming to T-Mobile's HSPA+ network (we heard as much this morning from the carrier itself, actually, but now Samsung's got an announcement all its own). 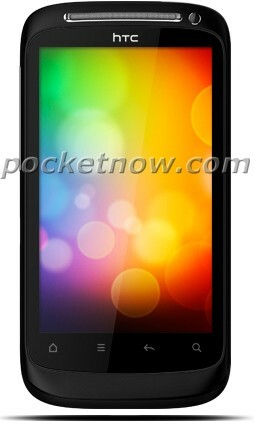 There's a Super AMOLED screen of unknown size and Android 2.2 Froyo. Here's what we don't know: anything else, unfortunately. We'd guess pretty strongly this is the Vibrant 4G since that was Big Magenta's nomenclature for the 3G version, but no one is officially uttering that name. Press release after the break. O Barcelona, where art thou? 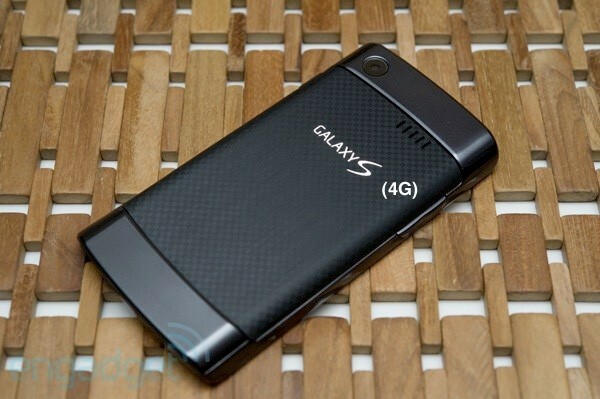 Samsung Galaxy S 4G for T-Mobile official, details are scant originally appeared on Engadget on Thu, 20 Jan 2011 13:32:00 EDT. Please see our terms for use of feeds. Market Leader, a NASDAQ-listed provider of online marketing and technology solutions for real estate professionals, has acquired kwkly, which operates a mobile software-as-a-service lead generation platform. It seems like a good match – kwkly is used by some of the real estate industry’s largest and most prominent brokerage companies to engage tech-savvy home buyers and sellers. The company provides a service that lets home buyers access detailed property information straight from the Multiple Listing Service (MLS), on their mobile phone, in real time. Market Leader’s acquisition of kwkly expands the offerings that the company can make available through its business and marketing platform for real estate professionals. After seeing Android tablets galore at CES, it seems strangely fitting that a device bearing the CherryPad moniker could top off this month's tablet news dog pile. Specifically, Mobile Magazine is sharing "unconfirmed details" about a new 7-inch Cherry-branded tablet that's said to run Android 2.2 "at a minimum" and feature a 1024x600 capacitive multi-touch display, front and rear three megapixel cameras, a 1GHz Cortex A8 cpu, and either 8 or 16GB of flash memory. Other goodies on the sequel's spec list include an integrated HDMI output, accelerometer, microSD slot and even an unlocked GSM antenna. Unfortunately, these enhancements won't be available at the old CherryPad's $200 price point -- which was pretty much the only thing the original had going for it. 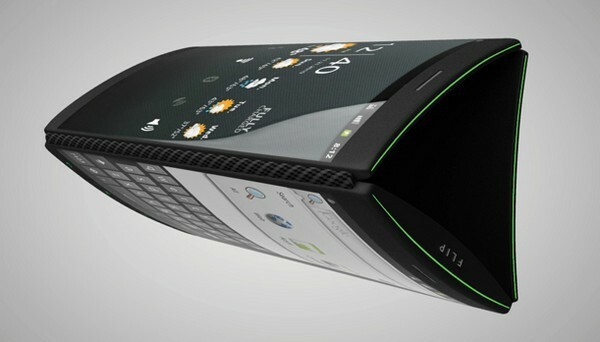 Instead, the new device is rumored to cost $300 to $400. The same source also reports that an official announcement is expected in just a few weeks, so in the meantime, we'll pass the hours debating whether it makes more sense to name tablets after fruits or rocks. Second-gen CherryPad rumored to feature better specs for a bigger price tag originally appeared on Engadget on Wed, 19 Jan 2011 19:23:00 EDT. Please see our terms for use of feeds. Samsung's got a reputation for building crazy awesome display technologies, and it just added another one to the stack -- with the buyout of Philips-spinoff Liquavista this December, it's gained quite the foothold in electrowetting. In case you're not familiar, electrowetting has been repeatedly pitched to us as pretty much the Holy Grail of displays: flexible, colorful, unbreakable, outdoor-readable e-paper screens with high refresh rates and low-power consumption that can be manufactured on existing assembly lines. We'll have to see if the theories equate to meaningful products, but we imagine ownership by Samsung can't hurt one bit, especially as the company says it will "expand its leadership in next generation display technologies by pioneering the application of electrowetting in e-Paper and transparent displays." Sounds like a commitment to us. PR after the break. Update: Seems that The Digital Reader actually figured out about the deal yesterday -- read the original scoop at our more coverage link! Samsung buys Liquavista, dives headfirst into electrowetting displays originally appeared on Engadget on Wed, 19 Jan 2011 21:12:00 EDT. Please see our terms for use of feeds. We'd be lying if we said we hadn't been waiting on this feature since the service's debut. As one reader just notified us (and verified by a number of staffers), Google Voice now lets you port your own phone number into its system -- as in, that 10-digit hometown relic you've been holding onto as long as you've carried a handset can now live in the cloud and grant you freedom to start afresh / forward to your many on-hand devices. Check under phone setting to see if "change / port" is now an option. The cost of porting is $20 and, as you may guess, it'll terminate your current service plan and probably prompt the carrier in question to charge applicable early termination fees, but that's pittance for saving your old line for the indefinite future. You know, just in case your seventh grade crush gets the nerve to call and say, "sorry." Of course he / she will, just give it time. Update: Google just pinged us to note this feature is still being tested and may not be available to everyone. 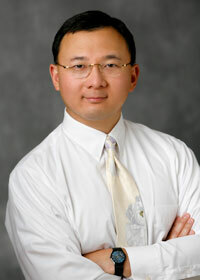 "We're continually testing new features to enhance the user experience. For a limited amount of time, we're making the Google Voice number porting process available to users. We don't have any additional details to share at this time, but plan to offer this feature to all users in the near future." Update 2: Ninja vanish! Looks like the option to port is gone -- for now, at least. Just keep an eye on your settings pane, it's bound to resurface sooner or later. Google Voice now lets you port your own phone number (update: option disappears) originally appeared on Engadget on Wed, 19 Jan 2011 21:55:00 EDT. Please see our terms for use of feeds. Some careful digging in the iOS 4.3 beta has revealed an intriguing new string intended for the iPad's Settings menu. As you can see above, users will be able to toggle a new auto-unlocking feature on their iPad, which would respond to closing and opening of the slate's cover (or case, or sleeve, or whatever). Though the iPad already has an ambient light sensor, the one true way to make this functionality work is by employing a good old proximity sensor, so we can probably pencil that into our ever-expanding list of iPad 2 attributes. Who'd have thought there were so many ways to improve on a magical revolution, eh? Next-gen iPad may come with proximity sensor, iOS 4.3 beta reveals originally appeared on Engadget on Wed, 19 Jan 2011 22:21:00 EDT. Please see our terms for use of feeds. For years foreign nations have received better and faster cars than America but, finally, we thought we'd at least received smartphone parity. 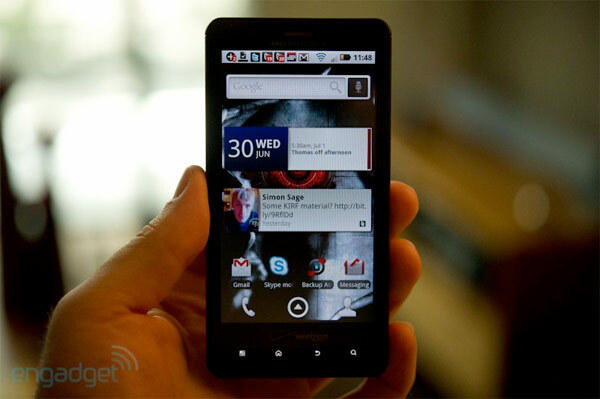 Not for Motorola, who is bringing its 4.3-inch Droid X slab to China with one major tweak: a processor running at 1.2GHz. That's a 20 percent boost over its cycles in domestic form despite having the same TI ticker humming away in there. Now, that's not to say there aren't ways to unofficially overclock your X to 1.2GHz -- and beyond -- but those of us who prefer staying stock are left to wonder why, and to hope for an equivalent update on these shores. Futile hopes, these. 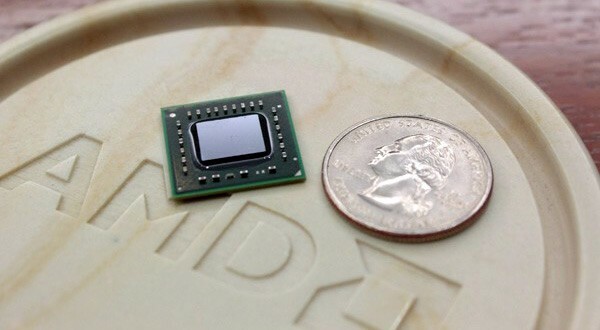 Motorola Droid X gets 1.2GHz software overclock for China, we feel slighted too originally appeared on Engadget on Thu, 20 Jan 2011 00:27:00 EDT. Please see our terms for use of feeds. Triple-display Flip phone powers our dreams with Android (video) originally appeared on Engadget on Thu, 20 Jan 2011 00:45:00 EDT. Please see our terms for use of feeds. Oh look, even more evidence that the next generation iPad will be equipped with cameras. The image above showing the three new iPad apps was discovered in the iOS 4.3 beta 2 by MacRumors. To be effective, the iPad's Camera and FaceTime apps would require both back- and front-facing cameras just like the iPhone 4. The Photo Booth app is new to iOS but already ships on Macs running OS X -- it could, presumably, use either camera to record snapshots (with filters) and video. And really, at this point, with such overwhelming evidence the only surprise would be for Apple to announce a new iPad without a camera. iPad camera apps discovered in iOS 4.3 beta, nobody surprised originally appeared on Engadget on Thu, 20 Jan 2011 04:54:00 EDT. Please see our terms for use of feeds. With a fantastic Bluetooth headset on the market and a pumpin' portable speaker to blast out jams, how could Jawbone improve their product lineup? Well, we still think a stereo headset might be swell... but that's not what the company delivered today. No, this is the Jawbone Era, the world's first Bluetooth earpiece with a built-in accelerometer for motion-sensing apps, and plenty more improvements where that came from. There's a new version of the company's NoiseAssassin noise-canceling algorithms that adjusts inbound volume and equalization to let you hear better, an extra-large 10mm cone speaker with a larger range of frequencies, two processors, more memory, and an hour of extra battery life compared to the Jawbone Icon, to be specific. With only two motions currently recognized -- a double-tap to begin / end / switch calls and a rapid shake to pair -- the accelerometer's a bit of a gimmick for now, but Jawbone suggests more gestures are probably on the way. In the meanwhile, the other advancements might make the Era worth the price of entry -- which is $130, by the by. We've spent about five hours with the headset already, listening to music and taking calls, and while the accelerometer seems almost wasted at present, there's no discounting that new 10mm driver and the audio it can pump out. While no substitute for a set of quality dedicated earbuds, it sounded worlds better than the Jawbone Icon's tiny, tinny drum, and playing Pandora tracks we no longer felt an overpowering desire to take it out of our ear -- making a cyborg existence all the more bearable, we suppose. We'll bring you a full review soon, but if you're already sold, you'll find four different Era designs on sale at Jawbone's online store... oh, right about now. PR after the break. 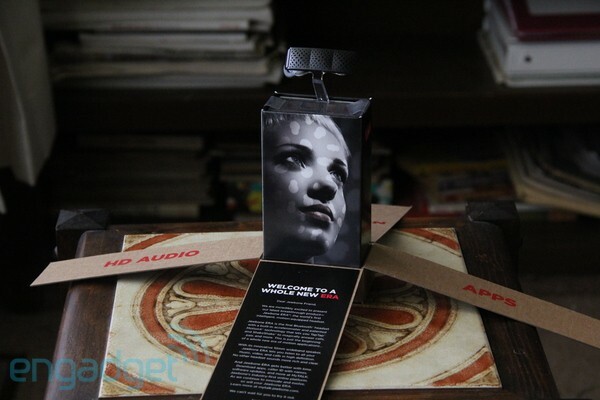 Jawbone Era sticks an accelerometer in your noise-canceling headset, we go hands-on originally appeared on Engadget on Thu, 20 Jan 2011 08:00:00 EDT. Please see our terms for use of feeds.